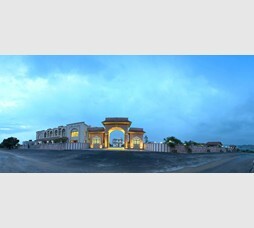 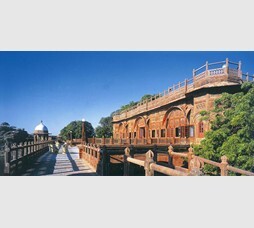 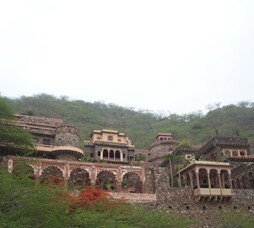 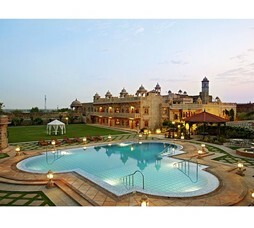 Bhainsrorgarh Fort Palace Hotel located at a hilltop off Chittorgarh - Bundi/Kota Route at Bhaisrorgarh. 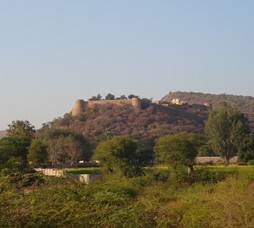 Bhainsrorgarh Fort was a fortified outpost of the kingdom of Mewar (Chittorgarh/ Udaipur), 235 kms northeast of Udaipur and 50 kms south of Kota. 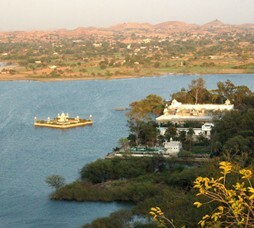 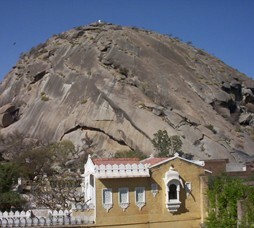 It crowns a 200 ft rocky ridge overlooking the River Chambal. 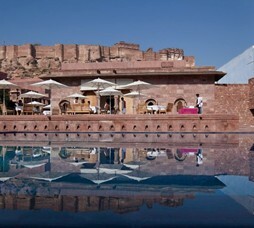 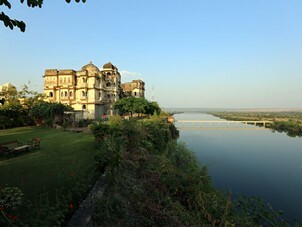 "Bhaisrorgarh Fort overlooks River Chambal and offers guests one of the most exclusive setting for a getaway. 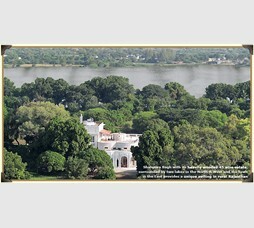 Guests here look to explore river safars, picnic lunches besides enjoying an exclusive personalised hospitality." 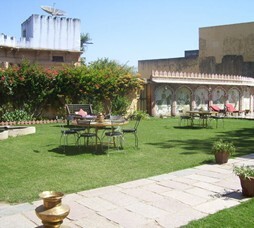 Call 022-6150 6363 or email bhainsrorgarhfort@nivalink.co.infor the Reservations. 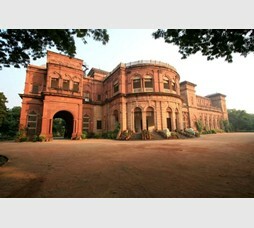 The Palace, Po: Bhainsrorgarh, Via Kota.